You read that right: the DEA just admitted that weed causes “happiness” and has never killed a single person. So why is it still federally illegal? Even though weed still hasn’t been rescheduled, the DEA has admitted that it has never killed a soul, along with acknowledging you’re your favorite herb causes “happiness.” So why is it still federally illegal? Just this week, a report entitled Drugs of Abuse was released, all in aid of better understanding the dangers of drug use. Education plays a critical role in preventing substance abuse. Drugs of Abuse, A DEA Resource Guide is designed to be a reliable resource on the most commonly abused and misused drugs in the United States. The 94-page report includes dangerous drugs, such as heroin and pharmaceutical opioids, but it also includes the likes of weed – that has medicinal properties – and other substances, which have proven to be far less harmful than the government would like everyone to believe. Unfortunately, the report also fails to acknowledge the benefits of cannabis. 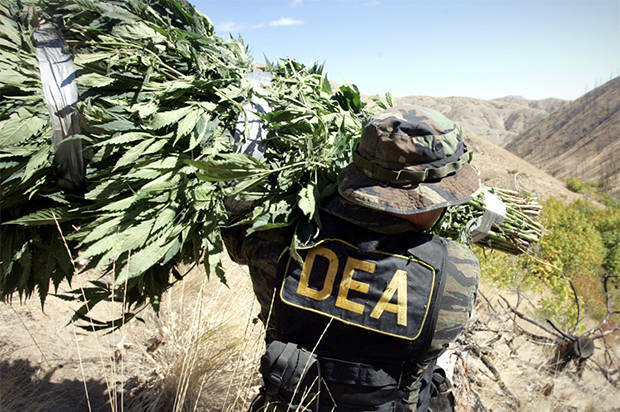 But one thing that the DEA does admit is that the plant – described as a “dry, shredded green/brown mix of flowers, stems, seeds, and leaves” – has no deaths attributed to it. While that was widely known, it is refreshing that the agency acknowledges that. Unfortunately, the report still tends to focus on the so-called dangerous effects, which includes the likes of emphysema, paranoia, anxiety and panic attacks. Marijuana smokers experience serious health problems such as bronchitis, emphysema, and bronchial asthma. Extended use may cause suppression of the immune system. Withdrawal from chronic use of high doses of marijuana causes physical signs including headache, shakiness, sweating, and stomach pains and nausea. That’s included despite research that has found the use of cannabis has few significant effects on lung health (and far less than the use of tobacco), along with the fact there is mounting evidence that shows cannabidiol can be used to treat anxiety. Instead of including that information, the DEA base their assessment of safety on the legality of the drug.